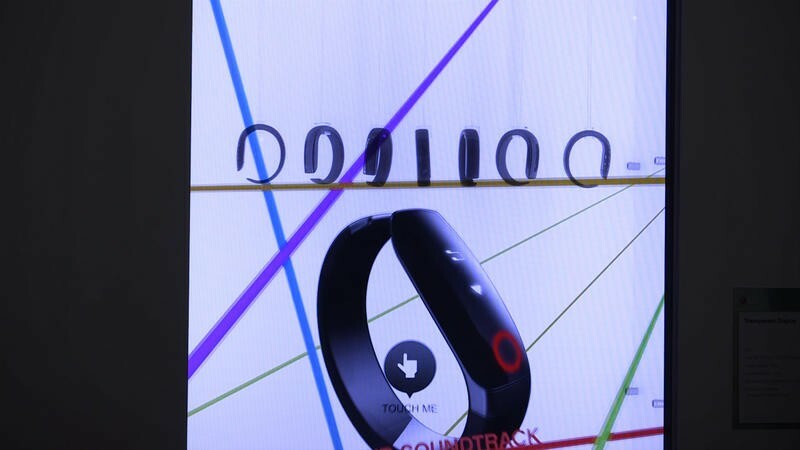 We’ve seen some impressive stuff come out of CES this year—new phones, new tablets, TVs, activity trackers, etc. But they are impressive the same way a dog jumping through a hoop is impressive. 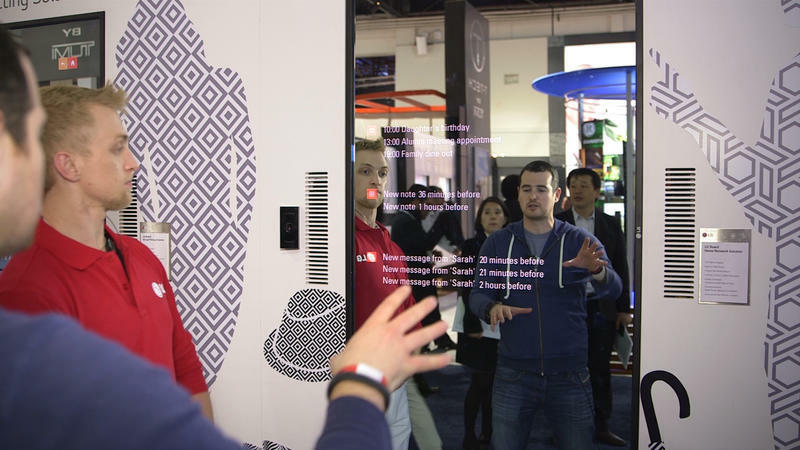 We weren’t truly blown away until meandering through LG’s booth on Tuesday and finding a few different things that truly (everyone says this a lot) seemed like technology straight out of the future. Mirror displays? Check. Transparent displays? Yes. It was something else, and maybe the coolest thing we’ve seen at the show (so far). Too bad it’s probably years away from arriving in a consumer’s home. Believe us when we say videos don’t do the technology justice. 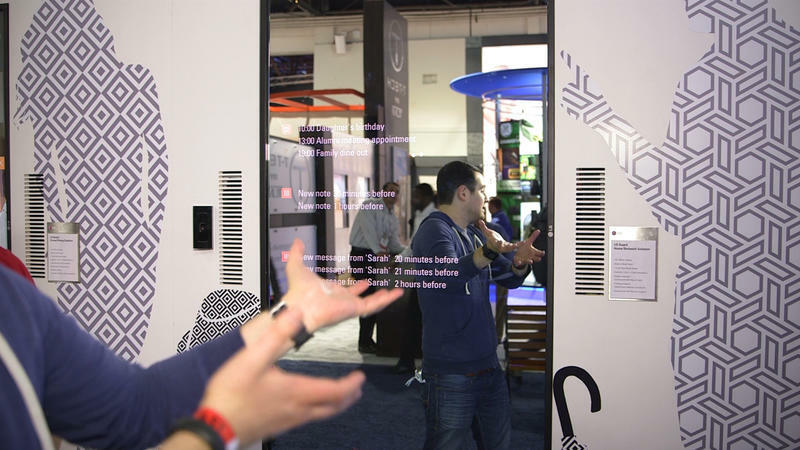 Up first is LG’s mirror display, which is exactly as it sounds. Imagine walking into your bathroom and seeing your schedule, or weather, or email right there as you stare at yourself. It’s like peering into the soul of your smartphone, looking from the inside out; you’re just encased back there in text and information. But it’s a lot cooler than that. Anything you can do on a smartphone or computer can be done on LG’s mirrored display—this isn’t merely a piece of reflective glass, not like the smartphone sitting in your pocket. It’s as much a mirror as the one in your home’s entry way. But with a display. The one being demonstrated outside of LG’s booth was 55-inches with Full HD resolution. 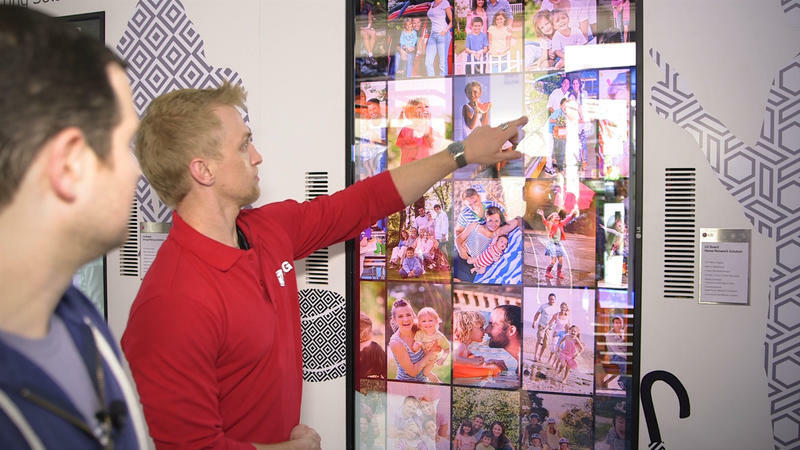 It includes built-in multitouch, minimal bezel, and some pretty handy functionality that allows you to sync a family’s schedule, for example, or call someone that lives across the country. As you can see in the video, it looks like science fiction, and it was surprisingly polished, as though it was ready to hit the market tomorrow. (It won’t, but we sure wish it would.) This isn’t something LG is just hoping will have a cool factor, either, with the company dreaming of many more applications outside of the home. 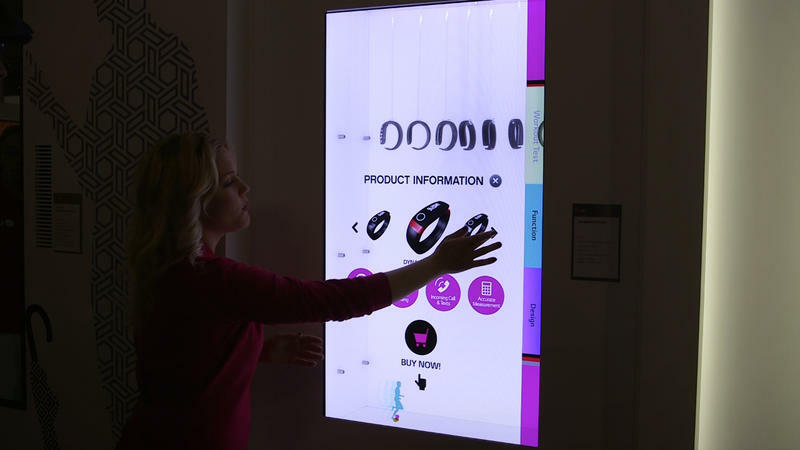 LG said the technology could be used in businesses for commercial ads, or even for medical consultation. 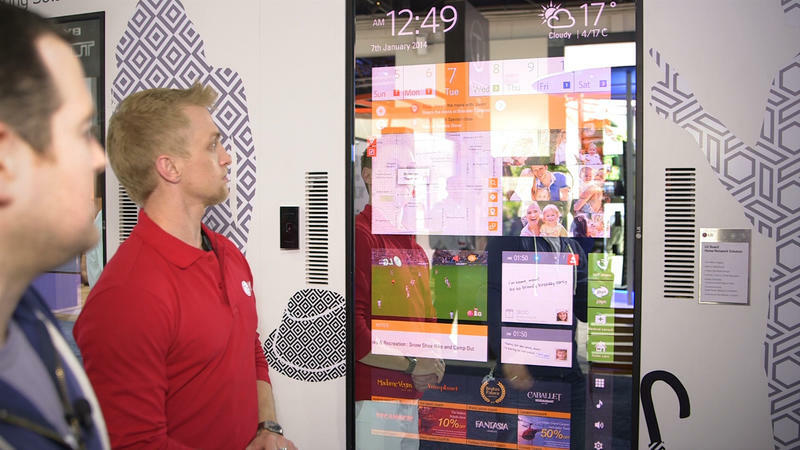 Or imagine walking into a store and seeing one of LG’s mirror displays staring right back at you, giving you the opportunity to shop from right then and there. There are probably plenty of applications LG hasn’t even thought about, so who knows where the company can take it. 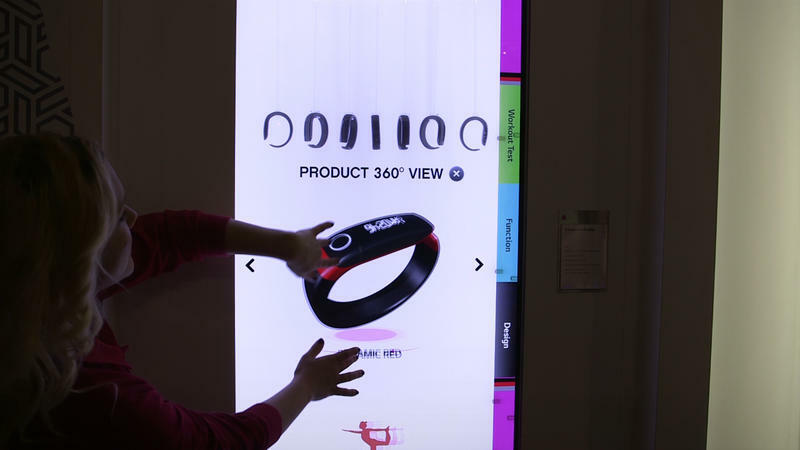 LG said the whole thing runs from right in the display, so if the technology did make it into your home, you could do something like mount it in the corner of the room without needing any extra equipment. The interface was quite nice for being so early on into the concept, and looked to take a lot of inspiration from around the market (we’re not complaining). LG showed us how we can look at a map and play a video at the same time; other information can still live on the screen, too, such as the weather, family photos, calendar events, and more. Regular old mirrors, with just your filthy mug, are so, so boring now. As cool and beautiful as the TVs have been at CES this year, LG’s concept is really what the show is all about. It might not be something that attracts large crowds and makes people “ohh” and “ahh,” but we can see this as something that can be implemented very easily into a person’s everyday life, and perform multiple functions at that. I might swing over to the LG booth again this week just to see if what I saw was actually real, and not some Las Vegas magic. 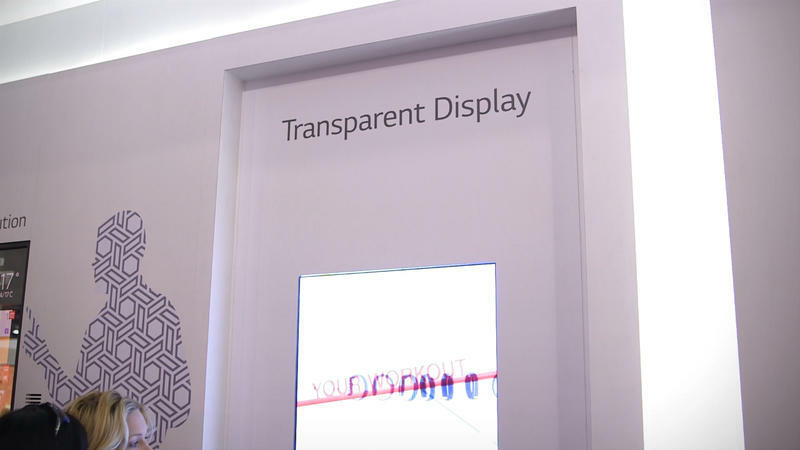 LG’s transparent display concept was just as awesome—maybe even more so than what we saw in the mirror display, though not quite as feature rich. It essentially looked like a display was right inside of a window: your car window, kitchen window, the window of a retail store. You could see right through it no problem, but there was information displayed in that transparency, just as you would see on a computer or a smartphone. And the darn thing was responsive, too, impressively so. 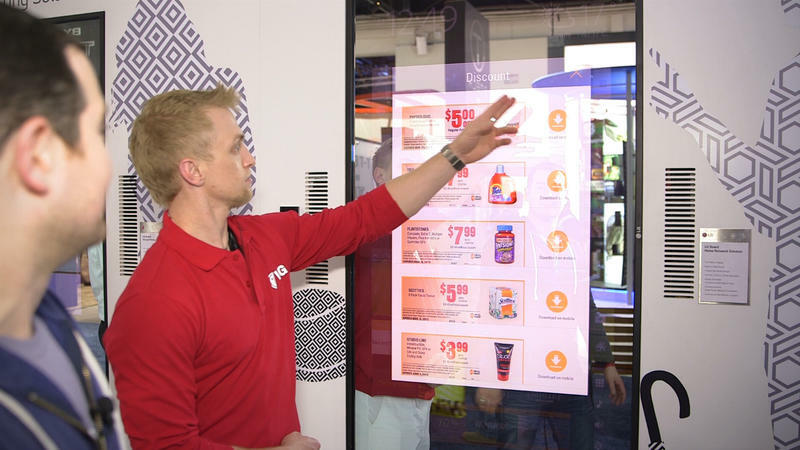 The spec card next to LG’s transparent display revealed the technology had a color gamut of 68-percent and transmittance of 11-percent. 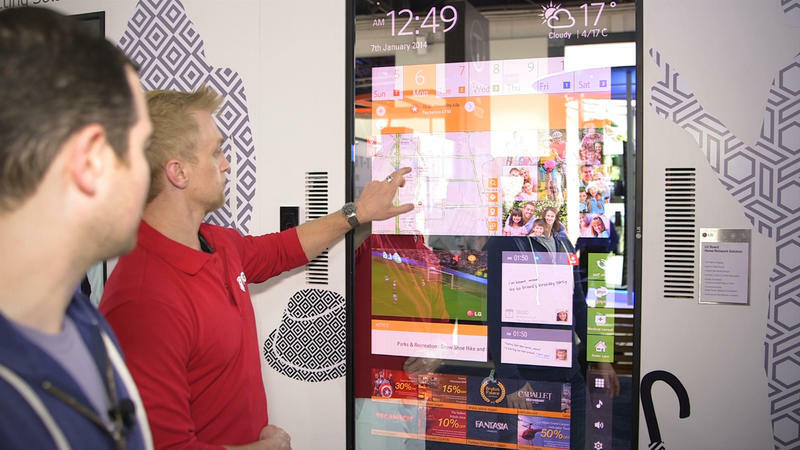 The cool thing about it is that LG has plans to provide the technology as open frame, so companies will be able to easily customize it to fit their needs. A Nike store, for example, could display what kind of shoes are in the store, and let a consumer buy them right then and there. It’s amazing stuff, and the video unfortunately doesn’t do it justice. We’ve seen a lot of companies focusing on making their TVs curved, and stuffing more pixels into bigger screens. But LG is really bringing the future into the now with some impressive concepts, ones we really hope will one day make it past the craziness of CES.